Shares of Nvidia (NVDA - Get Report) fell about 0.75% on Wednesday, but they have done well over the past few weeks. In fact, despite Wednesday's pullback, Nvidia stock is still up over 12% from its open on Friday, March 8. Conveniently, Nvidia is hosting its GTC 2019 conference this week, while the keynote presentation was given Monday evening. In that presentation, CEO Jensen Huang introduced several new partnership and products. One of those partnerships? A self-driving alliance with Toyota Motors (TM - Get Report) . This is a big deal for Nvidia because of the potential size of the opportunity. Just behind Volkswagen (VLKAY (VLKAF , Toyota was the second-largest automaker by sales in 2018, selling 10.3 million vehicles. During the keynote, Huang said that Toyota is "partnering with us from end to end. From deep-learning systems to simulation systems to in-car computers to collaboration with A.I. ... to create the future of autonomous vehicles." We don't know where Nvidia's partnership with Toyota will eventually lead, but we can speculate that it's significant. Just look at its partnership with Daimler's (DDAIF Mercedes. At the 2018 Detroit Auto Show, Nvidia's senior director of automotive Danny Shapiro sat down and talked to me about the company's work behind Mercedes' MBUX A.I.-powered infotainment system. During the summer, Daimler announced that Nvidia would power its self-driving taxi ambitions. Fast forward to the 2019 Consumer Electronics Show and the duo announced their work toward a full-blown A.I. vehicle. To say their relationship has grown over time would be an understatement. While Daimler's no drop in the bucket (with Mercedes standing as the 11th largest automaker by sales in 2018), Toyota commands a far larger size. 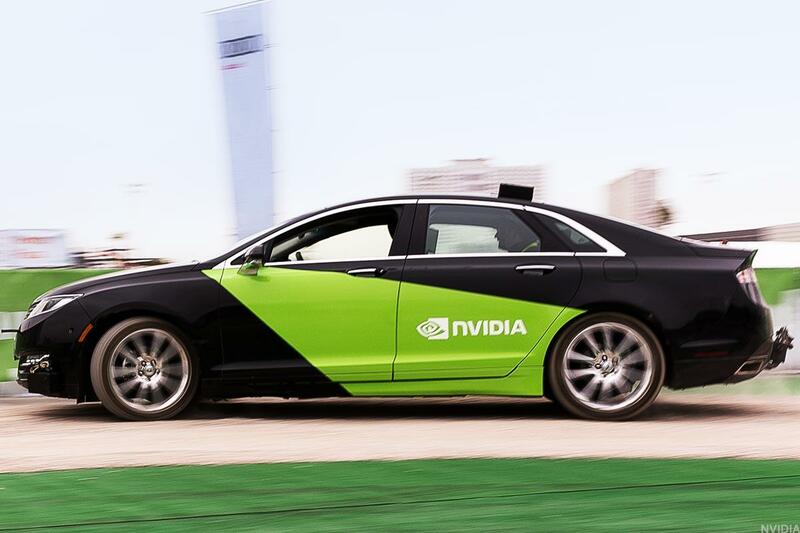 Its desire to beef up its autonomous driving capabilities combined with Nvidia's release of Constellation, and the partnership can be very big. We provided a larger breakdown of Nvidia's Drive Constellation on Tuesday, but essentially, it allows autonomous driving companies to rapidly accelerate their testing capabilities. By creating virtual simulations, companies can now test billions of self-driving miles in virtual reality rather than millions of miles in the real world. Cutting down costs, increasing safety and improving efficiency are all big selling points when it comes to Constellation and what better way to start than by announcing a partnership with Toyota. While Nvidia has certainly hit a rough patch in its business -- and that could be an understatement -- its automotive unit keeps chugging ahead. It generated a record year of revenue and it's hard to imagine another year of record automotive sales isn't on deck. That's even more true with Toyota on board. As more companies want A.I. infotainment systems, level 2+ driving systems and autonomous driving features, Nvidia clearly has momentum.